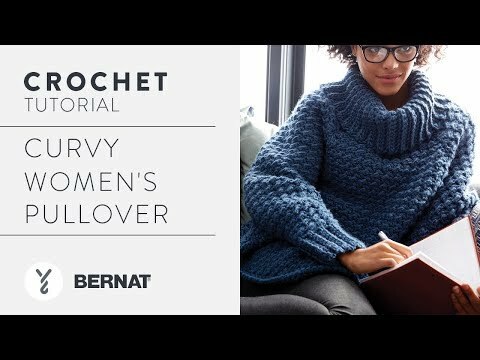 Stitch a beginner-friendly pullover in soft Bernat Roving. Fashion this perfect layering piece by working a simple crochet stitch and some basic shaping. Select the shade that fits your personality from our Bernat Roving collection, to complete an easy care sweater that's a warm winter staple. Make the kids' version too, for a stylish matching set. Size U.S. M/13 (9 mm) crochet hook or size needed to obtain gauge.